The superlative of modern motor yacht construction is in progress, the first spectacular Fjord 48 Open goes into production. Fjord 48 Open, a name that stands for pure driving pleasure. Muscular, athletic, powerful and provocative. The Fjord 48 Open sends a clear message. 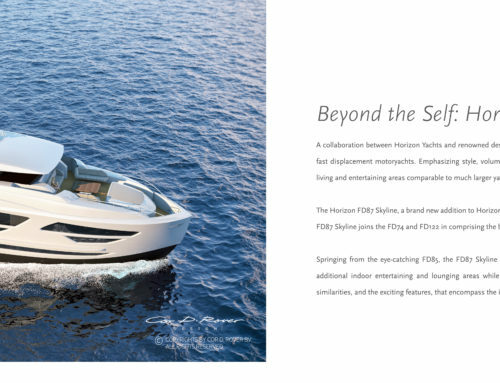 A unique design with ample power on the water. With appealing design variations, you can lend these qualities an even bolder expression. 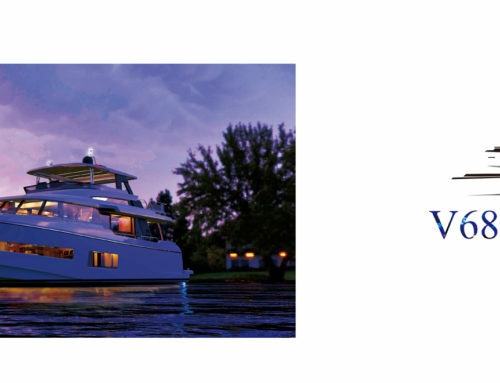 With extravagant hull colors, for example, the finest of teak decks, spectacular sun bed materials, or the optional large high-low bathing platform. The first pictures from the construction process speak for themselves and clearly reflect the dynamic and distinctive lines, which are the work of world-renowned designer Patrick Banfield. Fjord is also breaking new ground with regard to size – with a length of 15.20 m and a width of 4.80 m, the Fjord 48 Open is the largest Fjord of all time and makes a lasting impression. 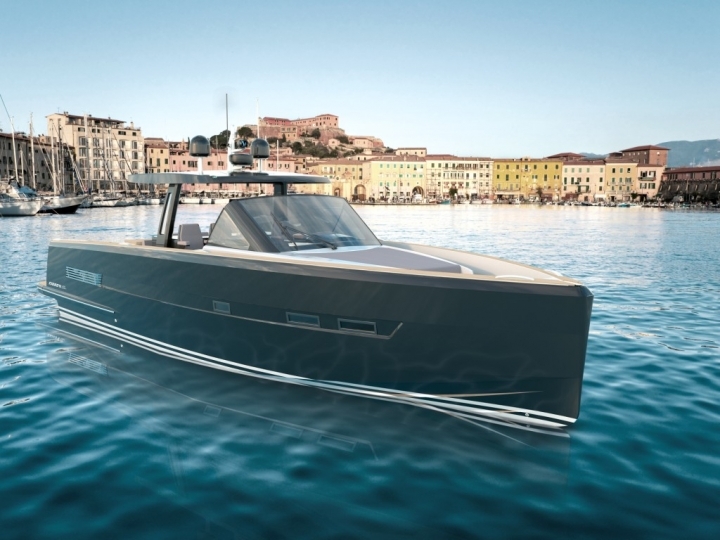 Not only spectacular, but also safe and comfortable: A high freeboard provides safety at sea. 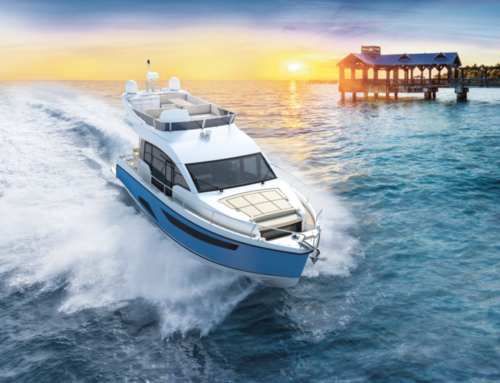 In the stern area, future owners can choose between cockpit tables, which can be converted into a large sun deck, or a dinghy garage with integrated electric slip system, for a Williams Jet Tender, for example. Relax and enjoy: Below deck, the Fjord 48 Open offers a breathtaking sense of space with the feeling of a luxury loft. Two spacious cabins, each with their own wet area, are perfect for spending the night. Carefully selected equipment options make every day on board an unforgettable experience and offer comfort for every occasion. 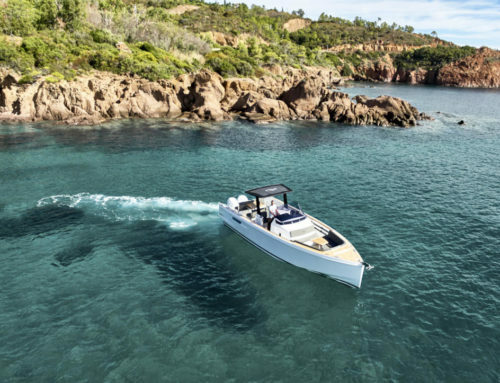 Feel the power: The new model is powered with up to three IPS 600 Volvo Penta diesel engines, each with 435 hp – making speeds above 40 knots child’s play! 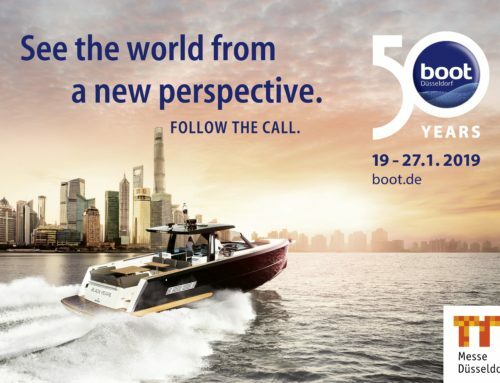 The wait for the new model is almost at an end and you will soon be able experience the Fjord 48 Open live!